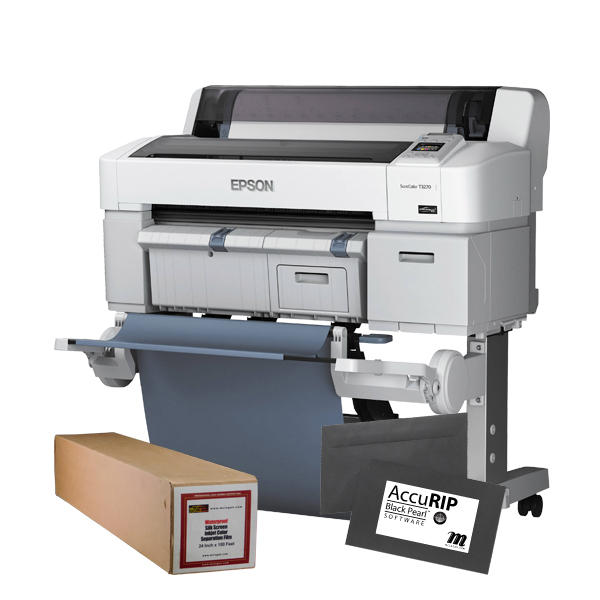 Our Epson T-3270 Output Package comes with (1) 24" x 100' roll of McLogan Water Proof film and AccuRIP Black Pearl. Designed to meet your business needs now and in the future. The new SureColor T-Series printers deliver presentation quality print, copy, scan and share feature at best-in-class speeds saving you time and money. 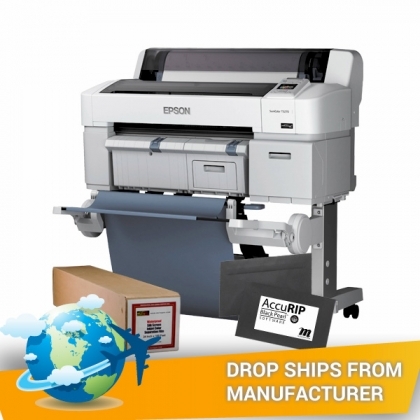 Paired with AccuRip Black Pearl to create an amazing output printer for automatic press printing shops. This item ships ground only for $199 to the Contiguous United States. Item usually ships within two business days of purchase.